Always a favourite family activity, apple picking is the perfect fall tradition. Here's a list of some of the best apple orchards near Toronto, many with plenty of fun activities happening, too. 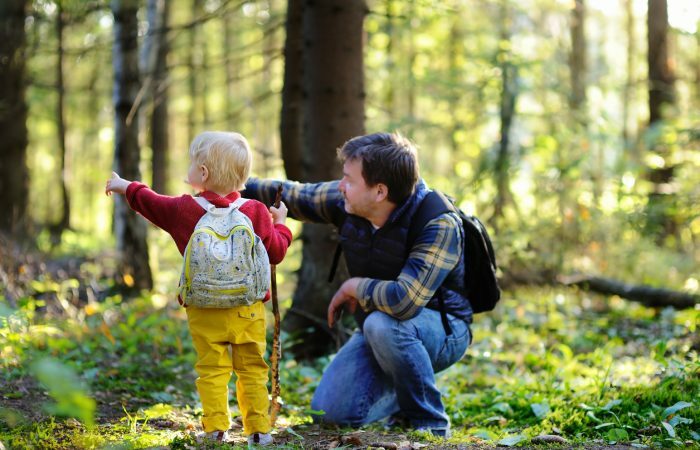 There are so many trails throughout Ontario to explore as a family, but we’ve curated a list of our top eight spots that even the tiniest of legs can manage. There's been a rise in natural playgrounds in Ontario, and it's no wonder. 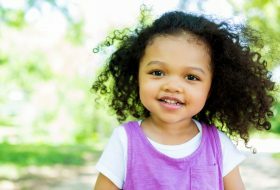 They're fun and unique, and a recent study shows that incorporating natural elements into children’s play areas can actually help lessen depressive moods in young kids. Here are some of the best natural playgrounds in Ontario. We’ve combined some of our favourite activities with some new adventures to create a list of 51 ways to fill your summer days in Toronto with kids. Have a peek. Ontario caves are hidden gems and are so much fun to explore on family hikes. Some are quite well known, some require you to go on a treasure hunt to find, and others are known only by locals. Here are a few of our favourites. Keep the car parked, oil up the gears and get the family gliding outside on one (maybe even all?) of Toronto's top bike paths. 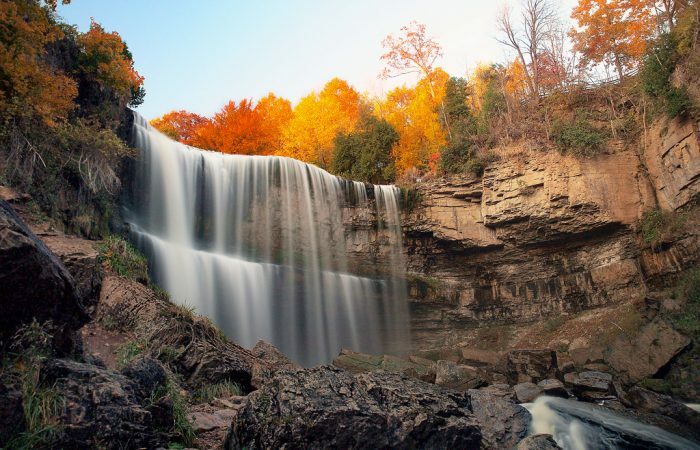 You may be surprised to hear that the waterfall capital of the world—with over 100 waterfalls in the area—is this close to home. Here are six awesome parks around town that we think are worth making a special trip to, even if they're not in your own backyard. 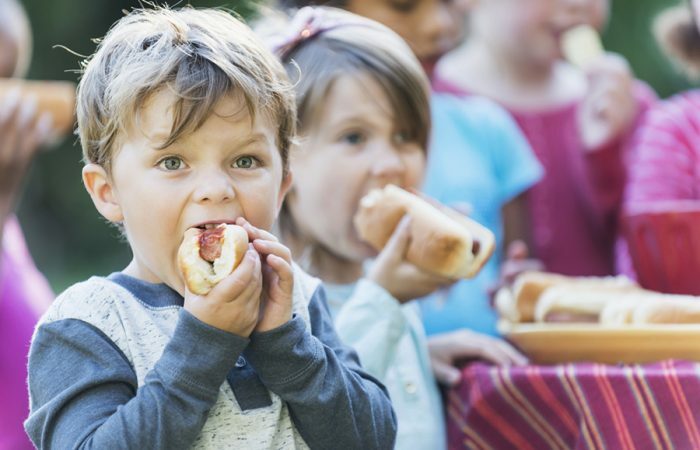 If you’re looking for simple, affordable ways to spend time and actually connect with your kid, check out our list of fun things to do together around the city. We’re all about playground play – even in winter. 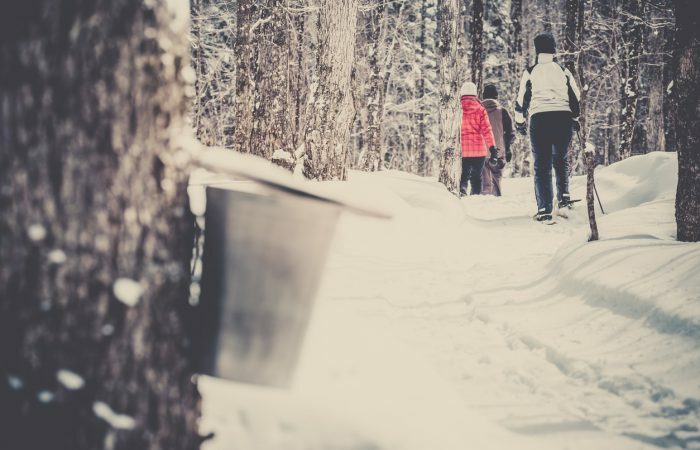 Cross-country skiing is so much more than just a sport; it's a nature experience, a family event, and an adventure. The fact that it’s easy to learn is an added bonus for this low-risk sport for all ages. “Winter fun” doesn't have to be an oxymoron. Here's how to embrace the season. It's fall, and that means—oh yes, it's time to look for a spot to pick apples and have some fall fun! We've searched out some of the lesser-known orchards to help you beat the crowds and have a lovely family outing. 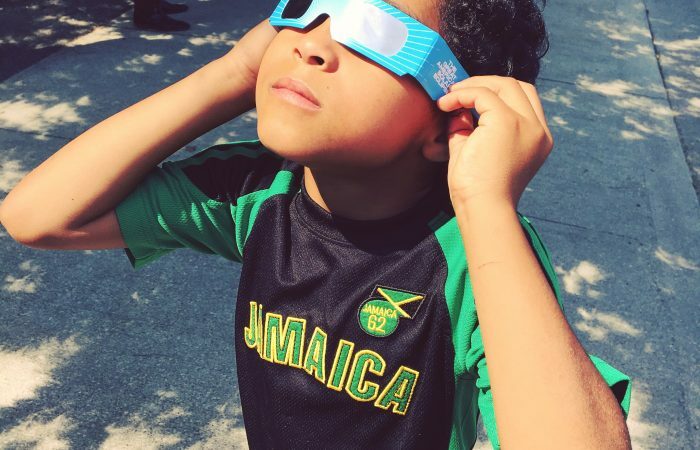 Natural events such as the eclipse can be used as "teachable moments" for children There's nothing like a solar eclipse to get people talking. Is there anything better than a little kid seeing a cow or goat up close for the first time? If you don’t know the answer to this, you need to get your own child to the nearest farm, pronto. If full-on Algonquin-style camping isn’t for you, you can still find some beautiful places to camp within a two-hour drive from Toronto. Here are 6 provincial parks not too far away from home to explore. Looking to get some quality time outside with the family? Check out this list of great hiking trails in the GTA. Some are close, some are a little farther away, but all offer nature in abundance and a break from technology. It's easy to head to your local playground, but this summer why not push the boundaries with a historic hike, a spot of culture, or some majestic scenery for your family's fill of Vitamin D? We've found ten must-try parks and picnic spots for all your low-key outdoor adventures. 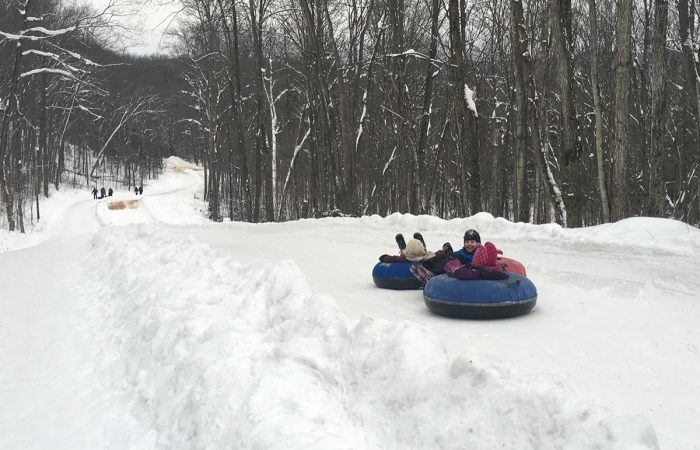 The snow may be on and off this winter, but when it's on, one of the most memorable and giggle-inducing activities you can do is to hit the hills and go tobogganing. Climbing those slopes is a great workout, it's low-cost fun, and the kids love it when we join in. Get out there and sled the sillies out! 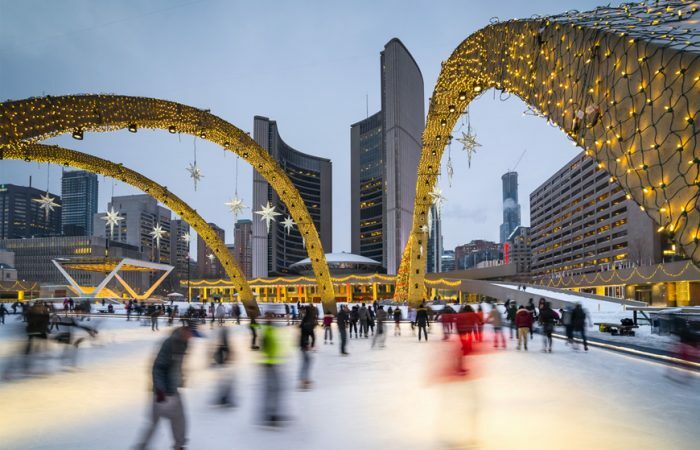 It's time to lace up those skates and hit the rink, now that winter weather has finally come for us. Too often as parents we get caught up creating and curating the perfect to-do list for our families. Not every splash pad is created equal and you want to know before you pack up swim suits, towels, sunscreen, hats, blankets, water bottles and snacks that the destination is going to be worth it. So here is our round up of the ten best water play areas in Toronto. Check out advanced aerial adventures for youth and adults and fun treetop games and ziplines for the smaller set. Here's where to go ziplining with the kids in Toronto. Moms are never too busy to give back to the community, but we do need to be reminded of how we can help from time to time. It doesn't have to take the fun out of the season to instill a little bit of compassion in your kids this time of year. Here are 10 ways to give back in Toronto. Hit the slopes…close to town! These ski hills in Toronto and surrounding areas are great for families of varying skills or beginners looking to try out the sport. Involve the kids in spreading some extra cheer by championing one of these worthy Toronto agencies and/or events. Find out more.